← Derek’s Diary – “House Warmer” not that warm!! 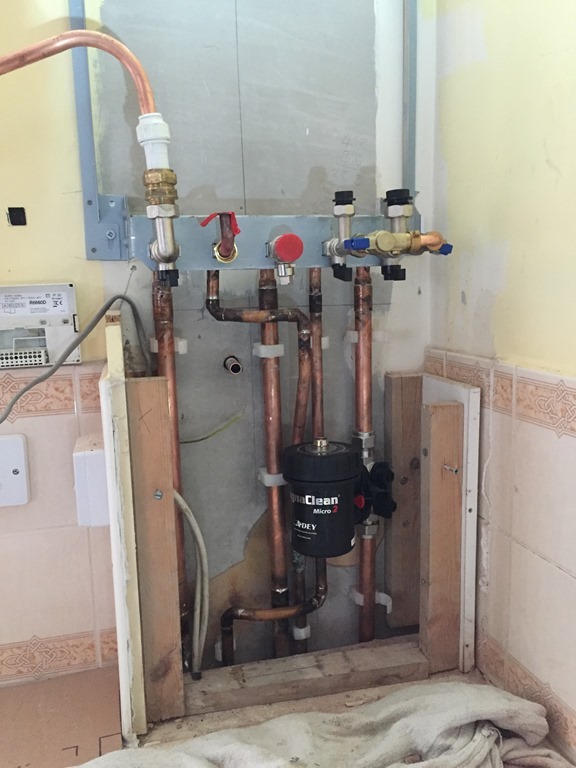 Many people will be getting new boilers at this time of year because this is when they are most likely to fail and with the pressure and stress of the cold weather its sometimes best to opt for a new boiler. I many cases the replacement is due to the old system being tired and exhausted and clogged up with years of dirty water in the system. We normally opt for the fresh water approach as we feel it places the system under less stress and with many manufacturers they provide an installation jig for easy flushing, pictured below you can see how the filling loop is used to introduce fresh water into the system and a exit pipe is attached to the flow connection thus allowing water to be introduced and flow round the whole system with out going through the boiler – which isn’t fitted at this stage. 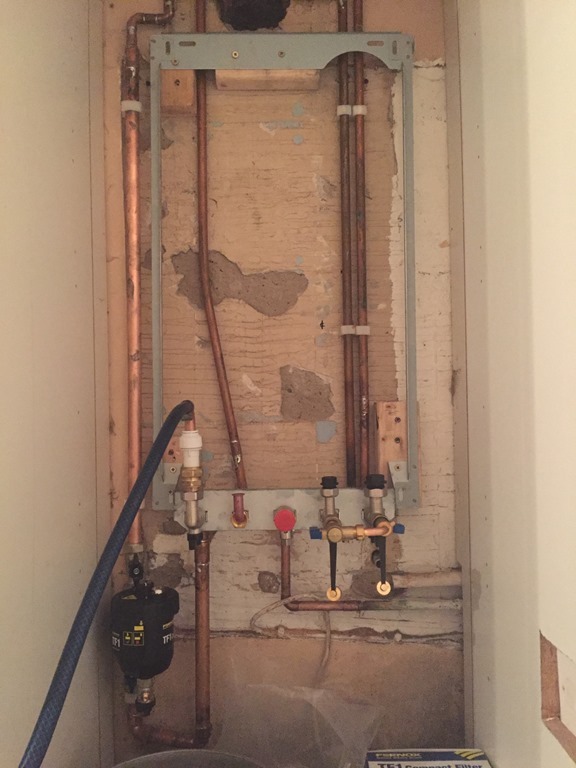 The process is further refined by then shutting of all but one of the radiators so that it can be heard that the flushing water is running through that radiator, this is continued for all the radiators in the system. The exiting water usually turns a darker colour as each new radiator is opened up. If you are having a new boiler fitted and the fitters are suggesting that they don’t need to flush the system as the magnetic filter will remove all of the dirty walk away!! This is not correct, don’t let them pull the wool and contaminate your new boiler with years of old sludge.